The line is closed again because the River Conwy has overflowed its banks. The river was at record levels in some locations over the weekend. The line runs next to or close to the river from Llandudno Junction to Betws-y-coed so is always vulnerable. The adjoining A470 was closed for a time at the weekend. Here are some Network Rail pictures. Lamington is due to re-open next week, I read, and the Bleaneau Ffestiniog line is rarely open for more than a few weeks at a time (probably a gross exaggeration, but that what it seems like). Flood water damaging the railway infrastructure between Llandudno Junction and Blaenau Ffestiniog means trains are unable to run on this route until further notice. From Monday 18 March, buses will replace trains between these stations. The buses will be run by Llew Jones Coaches and will reflect the normal train timetable, subject to traffic conditions. Network Rail have reported that, following the severe weather events during Friday 15 and Saturday 16 March, damage to the infrastructure in multiple locations along the Rheilffordd Dyffryn Conwy Valley Railway route means that significant repair work must be undertaken. Full surveys of the whole route are ongoing today, Sunday 17 March. The line is expected to remain closed for several weeks. Once more accurate updates are received by Network Rail engineers, route disruption information will be updated to reflect a reopening date. Customers with restricted mobility and bus accessibility restrictions [e.g. wheelchairs, mobility scooters] will be provided with special transport arrangements. We strongly advise that such customers contact Transport for Wales as far in advance of planned journeys as possible. I searched but the search engine revealed nothing. Move it if you want. Residents have been evacuated after a mile-long mountain fire spread into forestry and threatened properties. Kevin Roberts, assistant chief fire officer, said the force is urging visitors to the countryside to take extra care. He said: "The dry weather has increased the risk of rural fires and we would like to thank those people notifying us of their controlled burning and for them acting in a safe and responsible manner. "During drier periods, fires involving grass, bracken and heather can develop very quickly, particularly in raised winds, resulting in fires getting out of control and spreading to neighbouring properties or forestry, with the need for the fire and rescue service to be called out to extinguish them." The line is expected to remain closed for several weeks as significant repair work must be undertaken. 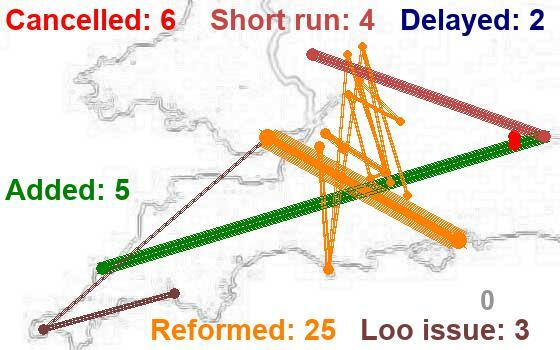 Once more accurate updates are received by Network Rail engineers, disruption information will be updated to reflect a reopening date. Drone footage from Network Rail on the Daily Post website. Transport for Wales Rail Services has revised its plans for deploying hybrid trains in North Wales after flooding damaged the Conwy Valley line between Llandudno Junction and Blaenau Ffestiniog, where trial running had been planned. 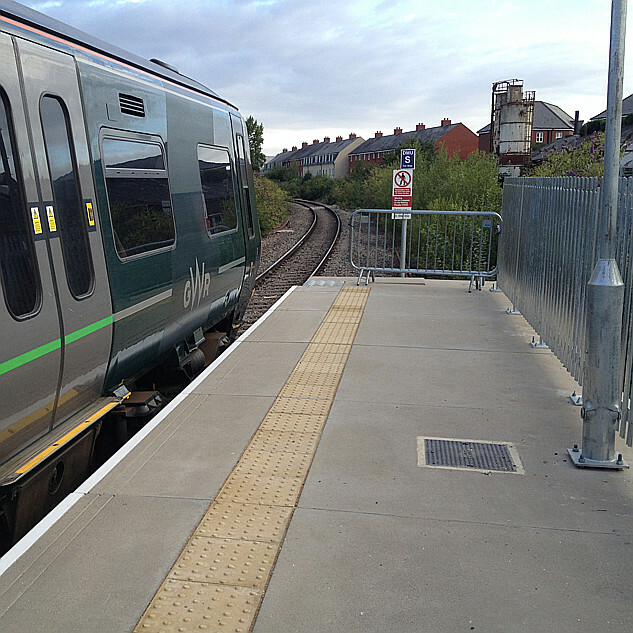 The line is out of use until mid-summer, and the diesel-battery trains from Vivarail will initially operate on the Wrexham-Bidston line instead.